Beautiful shot. Love the color. The busy bumble bee at work on a gorgeous flower :) Nice shot!! Beautiful photo ~ what a capture with the bee! That is fantastic. I just don't stand a chance this time. Maybe next time. This is lovely. I always like to capture an insect with a flower if I can. Good luck - Happy 4th. Love the way you framed the shot. Very nice photo! The colors are striking and the flower very pretty! I got a shot of a bee on a crocus in April. Took the chance of getting stung, but it was worth it. :-) Wonderful entry! Good Luck! Lovely shot! 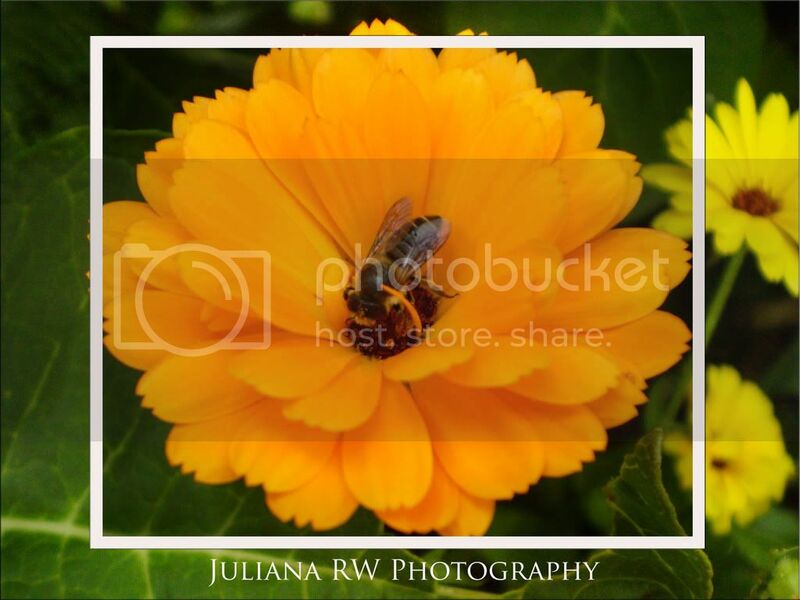 The vibrant orange of the flower makes the bee look as if it is sitting right in a rich honey pot. Beautiful! Very nice, thank you for your Creative Photography submission. Very nice shot and beautiful flower with a bee!